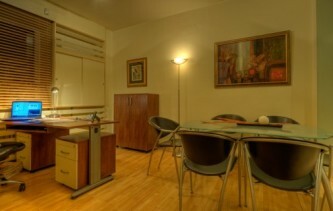 Law Office # 12 was established by three legal counsels in Budapest in 1983. With enactment of the new comprehensive legislation re-regulating the legal profession and allowing private law firms to operate in Hungary, the operation field of the firm and number of the lawyers expanded to a peak of 16 partners by October, 1991. The firm was restructuring as Simon, Bűrös & Partners in February 1993, as Simon & Petz in March 2003, and recently again as L.S. Simon. In addition to a sizeable paralegal and clerical staff, the firm currently has one partner, Dr. László Simon at one office based in Budapest. Dr. László Simon has forty years of experience in the legal profession and twenty-five years with the firm. Beside the Hungarian language, he is working in the English and German languages. The firm’s work is carefully balanced between ad hoc and permanent mandate agreements and covers dealing with government departments and other agencies, courts and other parties involved in complex contractual relationships. The firm has helped, right from the beginning in 1983, foreign investors, including foreign venture capital companies, in their investments in Hungary, acquiring participating interest in promising startup companies and establishing their local presence through the formation of Hungarian subsidiaries or joint venture companies and assisted them in incorporation issues, acquiring the necessary licenses and permits to conduct their businesses. Our partner has been providing legal services for more than twenty-five years for an internationally recognized and successful Hungarian group and its foreign affiliates developing and marketing certain state-of-the-art security features, software, equipment and technology used in design, personalization and production of sensitive documents like passports, banknotes and banderoles. In course of such assistance he gained substantial experience in international licensing, confidentiality, copyright, patent, know-how and other relating issues. The firm has successfully performed a great number of incorporations, corporate acquisitions, company restructuring and divestitures of enterprises and merger transactions. An important restructuring transaction of a state-owned firm to several limited liability and public companies limited by share included the first ever to have taken place in Hungary in 1987/88 was successfully managed by our partner on behalf of an internationally recognized Hungarian medical manufacturer. The significance of this transaction, handled exclusively by him, is that the state-owned company was restructured into several limited liability and public companies limited by share under a holding company and subsequently privatized before the adoption of the Act on Transformation of Enterprises in 1989. The experiences gained and the solutions produced in this transaction were effectively utilized subsequently in drafting the relevant legislation. Our partner has played a major role in outstanding transactions involving restructuring of series of Hungarian companies, sale of their assets and various corporate mergers. Furthermore, he assisted several foreign venture capital firms in acquisition of a controlling participation in numerous Hungarian companies. Among others it is worth mentioning the acquisition of a substantial share in the leading Hungarian firm servicing cell phones by a major Dutch venture capital firm, divestment of the participation in two Hungarian companies of one of Finland’s largest enterprises decided to be executed as a result of the change in their business policy, and the takeover of several Hungarian telecommunication firms by a US-based venture capital firm. The firm has worked for and/or represented well over 300 firms, ranging from small Hungarian start-up ventures to major multinationals in different types of commercial transactions. This practice involves the application of relevant instruments of foreign laws, international trade law, rules and regulations thereof, as well as Hungarian law of contracts and other civil and procedural law branches. Our partner developed a series of major service, maintenance, leasing, franchise, license, agency, distributorship and turnkey (EPC) construction contracts, and elaborated various legal studies relating thereto. The EPC-deal in framework of which our partner elaborated legal studies for and assisted one of the largest Finnish enterprises in engineering, procurement and construction of a power generation plant in Budapest may be deemed as one of the outstanding examples of such services. On basis of a permanent mandate agreement our partner has been assisting for more than two decades the Hungarian affiliate and branch office of a world leading Japanese company dealing with production and marketing of telecommunication and electronic devices, including home entertainment. In course of such assistance he has developed a series of service, maintenance and distributorship agreements, and elaborated legal studies for and represented this firm at court in several cases. Our partner has been advising and assisting a major Hungarian firm engaged in the business of radioactive diagnostic chemicals in problems relating to licensing, trade secret, unfair competition and intellectual property law. The firm handles major cases at municipal courts and the Supreme Court of Hungary and represents clients in cases in international arbitration. Our partner counsels clients with problems in bankruptcy and creditors rights, trade secret, unfair competition and intellectual property law. The firm worked very closely with some Hungarian banks and private persons in their real estate cases (purchasing, selling, letting, etc.) and provided in-depth assistance for an Austrian property development firm in erection and subsequent leasing of an office building in downtown of Budapest. Besides, our partner assisted a German investment group in a property development project leading to erection and subsequent sale of an apartment building in Budapest. Our partner recognized the future development potential of the telecommunications in Hungary, focused his attention on this field and started telecommunications practice as early as in 1989. He acted as the legal adviser of several local governments and a Hungarian firm to establish nineteen private local telephone and CATV operations in Hungary. This website is operated by L.S. Simon Attorneys-at-Law, a registered member of Budapest Bar Association, in line with the prevailing rules and internal regulations pertaining to lawyers, which are available together with a guide to client rights at www.magyarugyvedikamara.hu.